Great list! My Mother She Killed Me, My Father He Ate Me is an anthology I’ve been meaning to get to for the longest time. 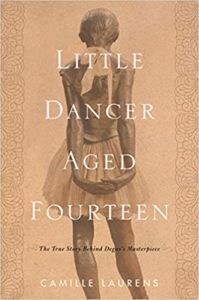 I love the sound of Little Dancer Aged Fourteen and Not One of Us – thanks for bringing them to my attention! Thank you. I hope you enjoy all three of those books. I hope you enjoy On The Come Up! I haven’t read it or The Hate U Give, but the amount of great reviews they both get is amazing. Thanks! Yeah, they seem to be universally loved. So I NEED that fairy tale book – first time I’m seeing it. I also need to read On the Come Up. However, I just read The Hate U Give in January so you could say I’m a tad behind. Hope you love all of these. I know, right? It looks so freaking good. I hope you liked The Hate U Give. I just finisher SLAYER!! It was good-ish. Also, I live near Latrobe, PA– which is where Mr. Rogers is from. The whole town is basically a shrine to him and Arnold Palmer. I loved watching Mr. Rogers when I was little. Great list– I hope you love all of these!! Aww, thanks. I’m glad you liked it. I didn’t know Latrobe had those kinds of commemorations of Arnold Palmer and Mr. Rogers. I’d love to see them someday. Great list! And yes on the come up is definitely worth the wait!! Thanks, and I’m so glad to hear that. Beautiful covers on this list – I think the only ones I’ve heard of are The Good Neighbor and On the Come Up. Definitely will have to check out some of these 🙂 Thanks for visiting my TTT. Thank you, and you’re welcome. You had a great list this week as well. Mr. Rogers! I’ve seen that book around and really want to read it. He was a part of so many of our childhoods! Such a lovely human being! And, yes, Mr. Rogers was an incredible man. I am so adding “Not one of us” to my TBR. I think my all time favorite type of story is when Science Fiction meets Horror. I’d be thrilled if even a few of them are like that. So glad to hear that. 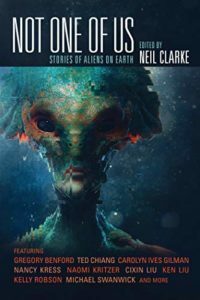 I hope you get a few sci-fi/horror stories in it. Cool. I hope you love it. I saw the Mr. Rogers documentary earlier last year, and it was incredibly moving. Mary Oliver, what can I say. Her poems just speak to the soul. Oh, that documentary was fantastic. I wiped away more than a few tears during it. I’m glad you’re also familiar with Mary Oliver’s work. What an amazing poet. I hope to read Slayer at some point! I recently start watching Buffy haha so I have a couple of seasons to go before I can read it. Hope you’ll enjoy it! Buffy gets really good in the second season. I hope you love it. I really want to listen to The Good Neighbor after watching the documentary on him. Also On the Come Up is something I have and should get to. Great list! Thank you. I hope The Good Neighbour is as well-done as the documentary was. I think it will be. You always have the most interesting non-fiction books on your list! Happy reading! I adore Degas, so I will for sure have to pick up Little Dancer Aged Fourteen! The reviews on Slayer I’ve seen are either full of hype or on the meh-side of things. Safe to say I still haven’t made up my mind about getting a copy, haha. Definitely want to see if I can get my hands on all seasons Buffy though. I feel like a rewatch is in order since I was so young when I first saw the show. Buffy is a lot of fun to rewatch. Yes, there are a few dated moments, but there are plenty of other scenes that remain as fresh as ever. Very nice list. I have heard so good things about The Good Neighbor! Thank you. Will you be reading The Good Neighbour? These are some interesting sounding books! 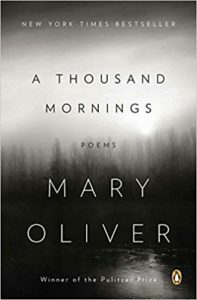 I enjoy Mary Oliver’s work, but I don’t think I’ve ever read an entire compilation of hers, just individual poems. I think I need to change that, and sooner rather than later. I’d highly recommend checking out one of Mary’s compilations. She has some excellent ones. 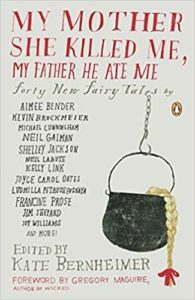 My Mother She Killed Me, My Father He Ate Me is an absolutely amazing title, and I love fairy tales, so I’ll definitely check it out. So glad to hear that. Hope you enjoy it. Great list and may the library wait lists be ever in your favor! Heh, thank you. Too funny. I loved Slayer, I hope you get to read it soon! Thank you. My fingers are crossed that I’ll make it to the top of the list sooner than expected. I really enjoyed On the Come Up, so I hope you do too! Good luck on getting it, haha. I’m totally sympathetic to your plight. I end up stuck in the void of the waitlist more often than I care to, as well. Hope you don’t have to wait too long! Thank you. The library is great, but long waitlists can be a thing for certain titles. I hope you find copies of Slayer and On the Come Up soon. Ooh! You’ve got me excited about the new Angie Thomas book. I loved The Hate U Give. I think I”ll add On The Come Up to my TBR as well. That’s awesome. I hope you love it. More books! 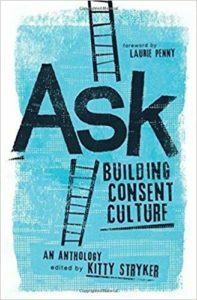 I like the sound of building a consent culture, and I love hugging too 🙂 Thank heavens my boys don’t mind my constant hugging even though they’re 23 and 21, though the younger one is as tactile as me. ‘Shame’ sounds good too, my self-esteem needs all the help it can get! I’m intrigued by ‘Slayer’ as you also mention Buffy, which I absolutely love. It never occurred to me that Degas’ little dancer must have been a real person – duh! That’s going on my list. As for ‘My Mother She Killed Me’, how timely. I just posted about adult fairy tales and that’s one I shall add 🙂 Thank you. Since you loved Buffy, I’d definitely recommend keeping an eye out for Slayer. I can’t recommend it until I read it, of course, but lots of people have adored it so far. Can anyone join? I wouldn’t mind, looks like so much fun. To be honest, I thought it was only for ‘invited people’ if that makes sense. Though the list I posted doesn’t number 10, just so you know. Yes, Top Ten Tuesday is open to everyone! It’s quite a welcoming community of bloggers, too. You can join in every week or just occasionally if that works better for you. The choice is 100% yours. Cool! Thank you so much 🙂 I know what’s going to keep me busy the next couple of days! I’ve been seeing a lot about The Good Neighbor lately. I watched “Won’t You Be My Neighbor” a couple months ago and cried during the entire thing. Hahaha. But he was such a huge part of my childhood, I know I need to read this book as well. The anthology is going right onto my TBR now. Definitely my kind of book. And, yeah, that Mr. Rogers documentary was really well done. I cried, too. I’m really intrigued by Shame! It looks fantastic. Glad to hear that. I hope you find it helpful if you decide to read it. Heh, glad to hear you liked my list. I’m not a big fan of bugs either…or at least not the ones that like to live in people’s houses. Ha! Thank you. I think we’ll both enjoy them. Looks like some good reads ahead for you! The books on this list seem really interesting! 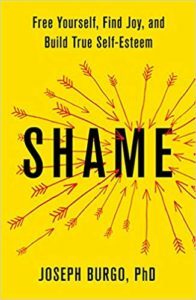 I really want to check out Shame, adding it to my tbr. I’m attempting to read more sort of “self help” type books this year, and I find them really helpful and nice to read. Thank you very much. Yes, there are some great self help books out there. You’re quite welcome. So glad to hear you liked my post and enjoyed On the Come Up. I’ve heard a lot of good things about Slayer, I need to check that out at some point! Good list! Thanks. I hope you like Slayer. On The Come Up sounds amazing. Hope it’s as brilliant as The Hate U Give! Slayer sure has one hell of a badass cover. I remember reading her older books, she’s a great author. Thanks for stopping by! You’re welcome. And agreed, it’s an awesome cover. On the Come Up is on my list too! I’m pretty curious about On the Come Up! Great list, very diverse! I read On the Come Up and really enjoyed it. I also have Slasher on my TBR shelf, I’m looking forward to get into the Buffyverse once more. Happy reading! You already know I’m also waiting for my library hold on On the Come Up! That fairy tale anthology looks intriguing! I recently read Hilary McKay’s fairy tale retelling, Straw Into Gold, which was delightful. But I should maybe read Slayer, too! I’ll keep an eye out for Straw Into Gold. It sounds interesting. I bet that Mr. Rogers book would be really interesting. Maybe I’ll have to request that audiobook. Happy reading! I sure think and hope it will be. Thanks. Little Dancer Aged Fourteen sounds interested and I’ve added it to Goodreads. Hopefully I’ll get a chance to read it one day. I hope you’ll get to read it, too. So glad you liked Bernheimer’s anthology. Thanks for stopping by. I want to read Slayer sometime soon as well! I still haven’t gotten to On the Come Up either. I hope we both end up enjoying it. Happy reading! I hope you enjoy his audiobook if you listen to it. I’ve seen some reviews of Slayer and it sounds really great! 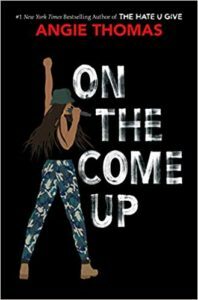 On the Come Up is on my Goodreads TBR. I so enjoyed The Hate U Give. I’ve actually read the fairy tale collection! It was several years ago, but I really enjoyed it. In fact, I should probably go back to it, because I think there were a few that I probably missed. I just got a copy of Slayer from the library and had to return it unread — not because I lost interest, just because I had too much else to read at the same time. I guess i need to go back on the waitlist again! Great list — I hope you enjoy your spring reading. Oh, that is so cool! Now I’m even more excited to read it. I hope you get another copy of Slayer soon. I think these are all new to me! Enjoy! Incredible list, I may have only heard of 2 or 3 of these, but it’s an eclectic bunch. I have an Oliver poetry collection on my nightstand that I must get to. Thank you. It must be so interesting to work in a library! I hope you enjoy that Oliver poetry collection. You’ve got a really interesting list! I’m intrigued by Shame. And I cried my way through the Mister Rogers documentary, he clearly touched me a lot more than I realized, so I should read his biography. And I’m a huge fan of Angie Thomas so this is on my hold list at the library (along with lots of other people). Aww, thanks. I hope you get a copy of On the Come Up soon. Cool! I hope you’ll get to read them soon. Awesome. I hope you love it. Thank you. So do I! Hehe. Great List! I am going to add that Degas book to my TBR! Thank you. I hope you enjoy the Degas book. Hope the Little Dancer book about the Degas work is good—I like the premise and have enjoyed others like this (notably Girl with the Pearl Earring). Degas is an interesting painter with some dark corners. The Shame book intrigues me—the title and subtitle don’t gel in my mind, so I’m wondering how they actually come together. Thank you. Yeah, I noticed that about the Shame book, too. And Girl with Pearl Earring was a fantastic read. Thank you very much! Hope you like it. I also want to read On the Come Up sometime! I’ve been wanting to read more short story collections lately, so I might need to look into My Mother She Killed Me, My Father He Ate Me. It sounds like it may have some interesting stories. It looks like you have a variety of books to read this spring! I hope you get to read them all and have a nice spring! Short story collections can be an amazing way to find new favourite authors. Honestly, that’s how I’ve discovered most of my must-read authors. I hope you enjoy My Mother She Killed Me, My Father He Ate Me. Great list! _My Mother She Killed Me, My Father He Ate Me_ looks really good. Thank you. And it sure does. I bought Slayer the other week. I’m super keen to read it 😁. Hopefully it won’t be a let down. I’m a huge Buffy fan. Good for you! I hope you love it. Great list! I really loved both Slayer and On The Come Up! I hope you enjoy them! Thank you. So glad you enjoyed both of those books. I think all of these are new to me. I have completely forgot about On The Come Up! I am definitely also going to read that this spring. I loooved THUG so I am really excited about this one and where it will go. I’m glad you were reminded of it then. It feels like this book has been in the works forever. I recently read On The Come Up and I really enjoyed it! That’s awesome. Thanks for telling me. Slayer and On the Come Up are both on my list for this year too, although not necessarily for spring. Thank you, and that’s great. Such a great list! I haven’t heard of most of these, but I’m adding a few of them to my own TBR! I use my library a lot too, so a lot of what I’ll be reading will depend on when the books come in. Aww, thanks. Good luck with your library wait lists. Not One Of Us has an amazing cover, I’m going to have to see if I can find it at my library. I know, right? My fingers are crossed that your library will have a copy of it. I started listening to The Good Neighbor, but decided this is one I need to read, not listen to. Back on the list at the library I go. I’ve heard good things about On the Come Up. And I wasn’t aware of the book about Fred Rogers. I’ll be checking my library for that one, too. Glad to hear it. I hope they’ll have it for you. I definitely need to read On The Come Up as well. I’ve heard some great things about a few of the books on this list. I hope you’ll get a chance to read it soon. I’m glad you’ve heard positive stuff about some of the other books, too. Dang! Your list is fantastic, Lydia. I loveddd THUG, so I really need to read On The Come Up too, ASAP!! Happy reading. Thank you very much. What a nice compliment. I hope you’ll get to read On the Come Up soon. I’m really interested in reading more of Mary Oliver’s work, and Little Dancer Aged Fourteen sounds excellent as well. Happy spring reading, Lydia! On the Come Up and Slayer look so good! This is such a wonderfully interesting list. 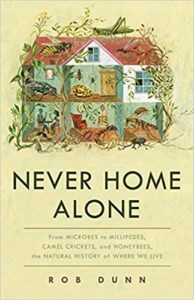 I would love and also not love to read the book about all the critters living in our same space – Never Home Alone. I would probably find it absolutely fascinating and horrifying in equal respects. I love the look of the collection of fairytales – the cover is really good and just appeals to me. Thanks a lot. Yes, Never Home Alone is going to be a very interesting – and possibly squicky – read. Ha! Some of these look fascinating, and are going on my “read it someday” list: Never Home Alone, the fairytale book, and the Mary Oliver poetry book in particular. I’ve read and loved some of Oliver’s work, and I’m eager to read more. 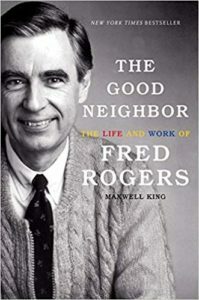 As for Mr. Rogers, I was a child when his show was still being made, and I loved both him and the show, so I may pick up the book when I get a chance. I hope you get to read lots of Mary Oliver’s poetry this spring. I love the title of that fairytale anthology. I hope you enjoy all these! Thanks, and thank you for stopping by. Heh, I hear you there. Hope you get to it soon. I’ve never seen Little Dancer Aged Fourteen, it sounds wonderful! I’ll have to look into it. My Mother She Killed Me…also sounds so good! I’m absolutely going to see if my library has that one. Hope you get to read all of these! Thank you. I hope you find copies of both of those books. Thanks. I hope you like them. I would love to read some Mary Oliver. I have never read any of her works but spring sounds like the perfect time. I haven’t read On the Come Up but enjoyed the movie of The Hate U Give so I bet the second book is great. Thanks for the visit. I’m glad you enjoyed the film version of The Hate U Give. I hope you like Mary Oliver’s work, too. Okay I added Not One of Us to my goodreads TBR. That sounds great! What a great list! I didn’t know about the Mr. Rogers book. Definitely adding that one to my TBR 🙂 Thanks for sharing! I loved Mr Rogers Neighborhood as a kid as well. I hope you enjoy the biography! Thank you. It’s nice to meet another fan of that show.
. My Mother She Killed Me, My Father He Ate Me is… a really disturbing name for a thing. I’m intrigued but it also really is… a lot? Anyway. Hope everything on your list goes well for you! Cool. I hope you get to soon. Slayer sounds so goooood! Love me some Buffy! Happy reading! Thanks so much for the Finding Wonderland visit last week; apologies it took me so long to visit here. Thank you. Yes, Slayer has had a ton of hype. Ohh great post and great list of books I hope you do enjoy reading every and each book, happy reading. Thank you so much for stopping by my TTT Post last week. You’re quite welcome. I’m glad you liked my post. I enjoyed yours, too. 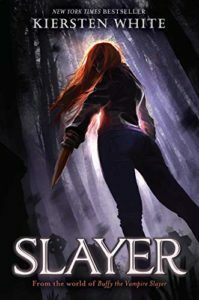 I am a big Buffy the Vampire Slayer fan so Slayer is def on my TBR pile. Happy reading! Awesome! Happy reading to you as well. Library borrows are like that, too. Always interesting to see what will come through when. Hope you have fun with all of them!